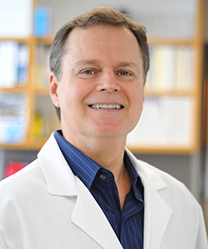 Dr. John A. Dani received his Ph.D. in Physiology from the University of Minnesota. After postdoctoral training, he joined Baylor College of Medicine where he became Professor and Director of the Center on Addiction, Learning, and Memory. Dr. Dani has received a number of awards, including the Jacob Javits Neuroscience Award from the NIH. During the summer of 2013 he became the Chair of the Department of Neuroscience and Director of the Mahoney Institute for Neurosciences at the Perelman School of Medicine, University of Pennsylvania.